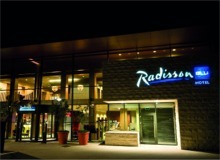 The Radisson Blu is ideally located within walking distance of the main market square and the shops of High Street. From the hotel, guests can easily access the public transport as well as cultural attractions like the National Genever Museum. Brussels National Airport in just also just a 40-minute drive away.